Why is Prophet Ibrahim called a “nation” although he was only one man? Why are we asked to follow the religion of Ibrahim when we have the religion of Prophet Muhammad? 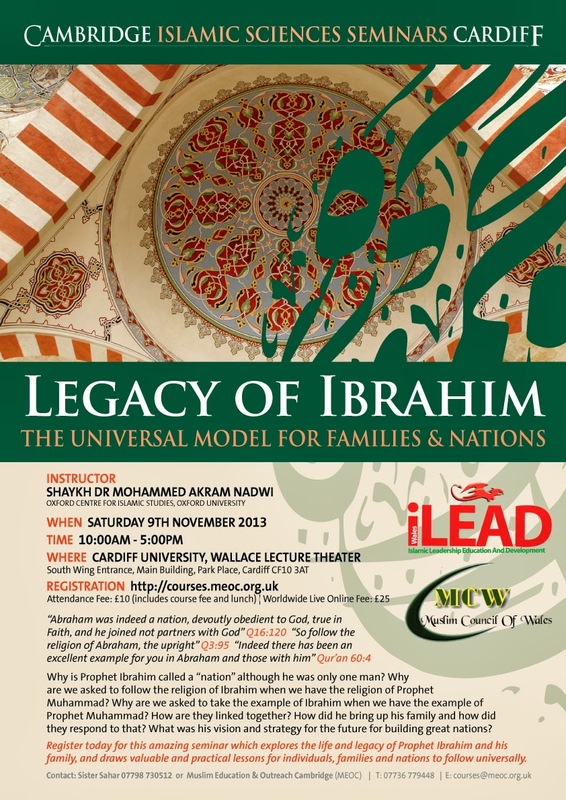 Why are we asked to take the example of Ibrahim when we have the example of Prophet Muhammad? How are they linked together? How did he bring up his family and how did they respond to that? What was his vision and strategy for the future for building great nations? Register today for this amazing seminar which explores the life and legacy of Prophet Ibrahim and his family, and draws valuable and practical lessons for individuals, families and nations to follow universally.